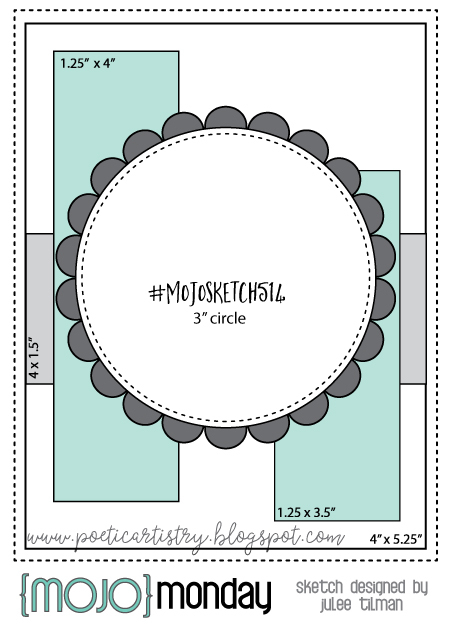 Working with the Mojo Monday sketch is always rewarding! 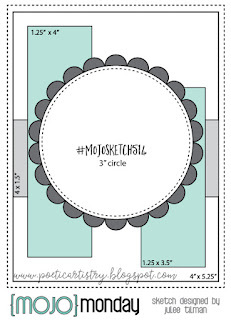 This evening, my exhausted brain was especially thankful for the measurements included with the sketch! The papers are a Tuesday Morning treasure: a stack called Mayberry, and I used a bit of watercolored panel to cut the MFT Stitched Flowers. 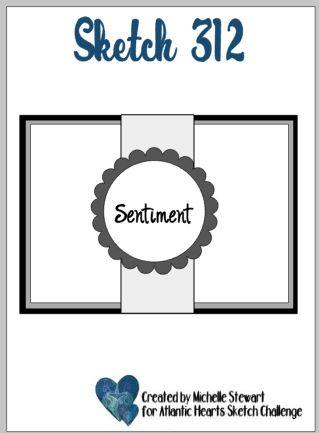 The sentiment is part of Verve's Cake and Candles collection (retired). So glad to have finished my "to do" list and to have started on my "want to do" list. I am thankful for a little time to play along with the Mod Squad challenge to include stencil work on a card. 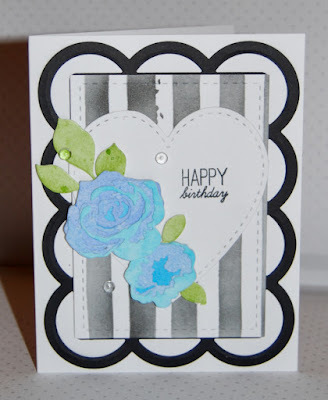 I love Altenew's Watercolor Stripes stencil and had part of one in my scrap collection. It was just right for the center panel of PTI's Scalloped Stackers die. 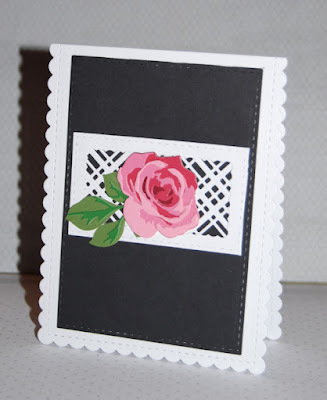 The roses were cut from watercolored panels using Altenew's Garden Picks dies. Yes...tomorrow is Easter, and I just finished my (hand-delivered) cards! This scripture is one of my favorites, and it really does apply to Easter, because the resurrection of Jesus is our strength and hope! The sentiment was heat embossed in gold on watercolor paper. 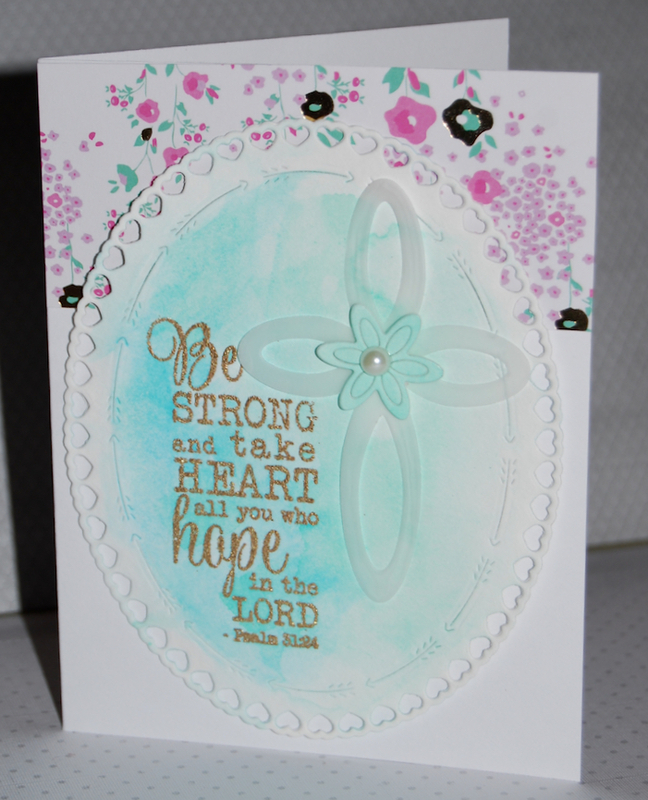 The watercolor wash features Prima Pastel Dreams, and the cross is a Reverse Confetti die cut from vellum. I just received a PTI order including a couple of items I've wanted for a while: Gran's Garden stamps and Shape Shifters Oval 4, and I couldn't wait to play! 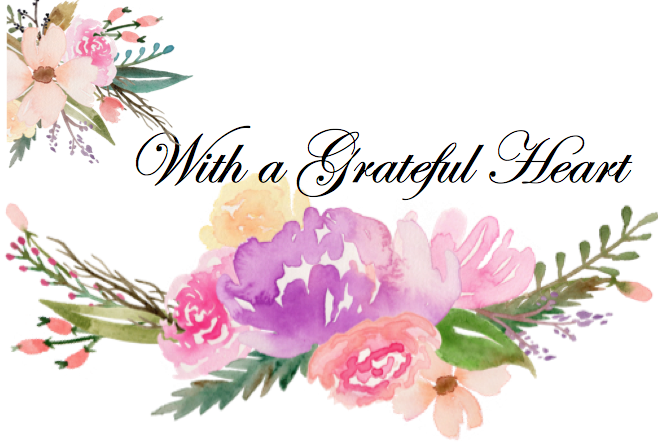 The dies for Gran's Garden are out of stock, at present, so I fussy cut the flowers and stamped the foliage in the background. This set is a delight! I love PTI's new challenge called Laurie's Fabulous Favorites. 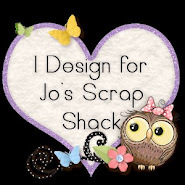 What's not to love about seeing an inspiration piece from Laurie and having the opportunity to choose a favorite technique or product to play along? 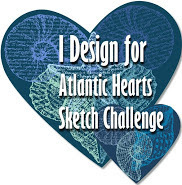 This week's challenge is to choose a favorite coloring medium, and I LOVE to heat emboss florals and to watercolor with either pan or brush watercolors and a water brush. I just received an order from PTI yesterday and the "With Love Mini Stamp" was included. 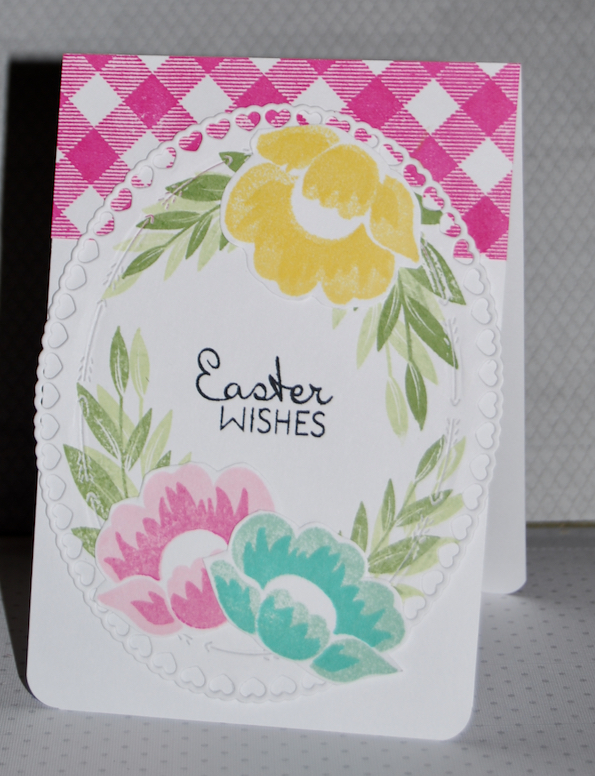 I stamped it a twice using Versamark white EP, watercoloring both with Arteza Real Brush Markers and a water brush. This attempt did not die cut perfectly (my bad! 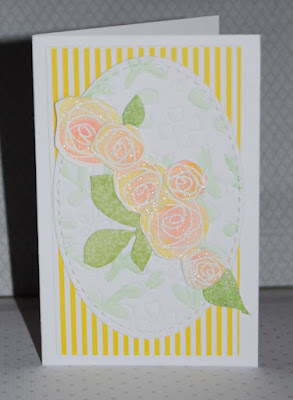 ), so I hand trimmed the flowers and scattered them over a piece of paper that was dry embossed with SS Oval 1. 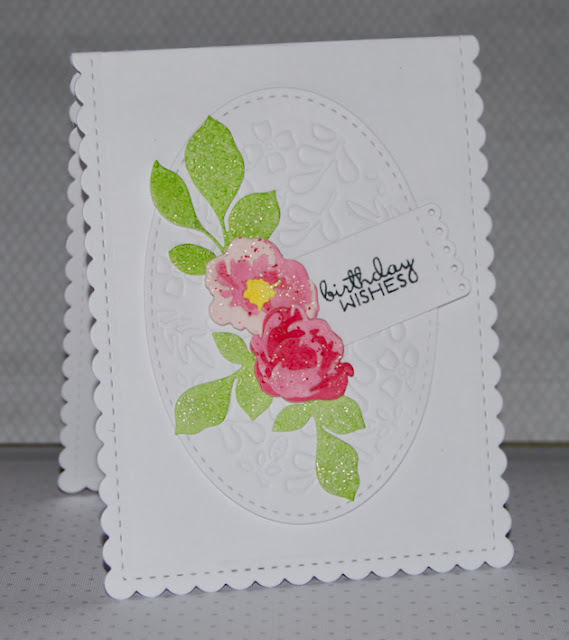 I added a little messy green watercolor to the background leaves and assembled the the card on a 2.5 x 4 inch base. It will make a super cute gift enclosure. I rotated the sketch and used the amazing Garden Picks 3-D dies from Altenew to create the rose in the center. DH needs a birthday card for a co-worker, so I die cut the smaller Garden Picks flowers from the last bits of paper I watercolored Saturday morning. 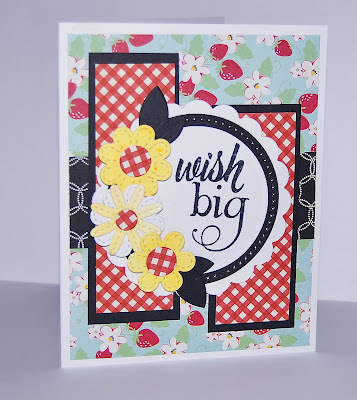 These dies are such a pleasure to use, and I love adding glitter as a finishing touch. The florals are layered over an oval die that was embossed using a tan mat. The sweet Verve sentiment is stamped on a Tall Tag from Reverse Confetti.